Intelligence educators from around the world are invited to participate in the 10th anniversary conference of the International Association for Intelligence Education (IAFIE) this coming July. The Association was formed in June 2004, as a result of a gathering of more than 60 intelligence studies trainers and educators at the Sixth Annual International Colloquium on Intelligence at Mercyhurst College in Erie, Pennsylvania. This group, from various intelligence disciplines including national security, law enforcement, competitive intelligence, and others, recognized the need for a professional association on intelligence, a new and diverse field of academic study that forms the basis of what has since become known as ‘intelligence studies’. Today, IAFIE is internationally recognized as one of the foremost groups working to advance research, knowledge and professional development in intelligence education. Mercyhurst University will be the hosting institution of IAFIE’s conference, which will take place from July 14 to 16. The theme for the conference is “Theory and Practice in Intelligence Education and Training”. The organizers invite ideas for papers with a focus on traditional intelligence studies or for panel discussions on various subjects including the history of intelligence analysis, the role of intelligence education in developing the profession, as well as international perspectives on the discipline and the profession. Other subjects of interest to the conference center on theoretical or practical pedagogical approaches to intelligence education, relevant research initiatives, future trends in the field of intelligence analysis, and explorations of the intersection between intelligence education and intelligence training. IAFIE’s Board of Directors specifies that papers and copies of any audiovisual materials in support of conference submissions are due no later than April 15, 2014. For more information, please refer to the IAFIE website. The academic study of security and intelligence used to be seen as a strictly graduate-level preoccupation. Today, however, it is routinely encountered in undergraduate curricula and constitutes one of the fastest growing programs in political science. In response to the rising undergraduate interest in this field of study, the Security and Intelligence Studies program at King University in Bristol, Tennessee, launched The Security and Intelligence Studies Journal last spring. It is the world’s first undergraduate scholarly journal focusing exclusively on themes of intelligence, security, counterterrorism, geopolitics and international relations. The first issue of the SIS Journal was published in May of 2013 and is available on Amazon. It contains some of the finest undergraduate research on the theme: “security challenges in the 21st century”. For its second issue, the SIS Journal calls on interested authors to submit papers of up to 3,000 words in length on the theme: “Al-Qaeda – past, present, future”. The theme’s elaboration, which can be found on the journal’s website, is as follows: “In less than a quarter of a century, al-Qaeda has grown from a small administrative unit in the Hindu Kush Mountains to a leading global agent of Sunni militancy. The history of this enigmatic organization is replete with unpredictable twists and turns that continue to mystify scholars and counterterrorism experts alike. During the last decade, the demise of central al-Qaeda figures, including its founder and Emir, Osama bin Laden, have prompted some to proclaim the organization extinct. Others point to the rise of al-Qaeda-inspired franchise groups in the Arabian Peninsula and parts of Africa, as well as lone-wolf terrorist acts around the world, in arguing that al-Qaeda’s ideology is far from obsolete. The Security and Intelligence Studies Journal calls on interested authors to explore various aspects of al-Qaeda’s past, present, or future, in an effort to shed scholarly light on one of the world’s most mysterious and elusive militant groups”. The deadline for submissions of relevant scholarly papers of up to 3,000 words in length has been set for October 20, 2013. The SIS Journal editors encourage undergraduate students from around the world with a serious scholarly interest in security and intelligence to contact the journal by visiting its website or emailing the editors at kcsis@king.edu, to express their interest in submitting a paper. Collaborative works are welcome. We also kindly ask academics to forward this call for papers to their undergraduate students. The academic study of security and intelligence used to be considered strictly a graduate-level preoccupation. Today, however, it is routinely encountered in undergraduate curricula and constitutes one of the fastest growing programs in the humanities. There is thus no reason for undergraduate students with a serious interest in security and intelligence to wait until graduate school before publishing their scholarly work. To satisfy the increasing undergraduate interest in this field of study, the Security and Intelligence Studies program at King College in Bristol, Tennessee, is launching The Security and Intelligence Studies Journal. It is the world’s first undergraduate scholarly journal focusing exclusively on themes of intelligence, security, counterterrorism, geopolitics and international relations. 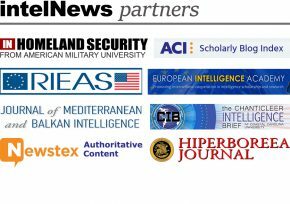 The Security and Intelligence Studies Journal is committed to highlighting outstanding undergraduate research that critically examines the current domestic and international security landscape. The theme for the journal’s first issue, which is scheduled for publication in late April 2013, is: “security challenges in the 21st century”. The theme’s elaboration, which can be found on the journal’s website, is as follows: “As our globalized society trudges deeper into the labyrinth of the 21st century, innumerable challenges threaten the security of the world. From collapsing economic markets, to multifaceted geopolitical tensions between Western and developing nations, to the ominous rise of militant ideologies, the intertwined destinies of nations transform local problems into global challenges and local struggles into international conflicts. The Security and Intelligence Studies Journal calls on interested authors to explore a 21st-century security challenge, and propose creative and innovative solutions, within the context of democratic political institutions”. The deadline for submissions of relevant scholarly papers of up to 3,000 words in length has been set for February 28, 2013. We encourage undergraduate students from around the world with a serious scholarly interest in security and intelligence to contact the journal by visiting its website or emailing the editors at KCSIS@king.edu, to express their interest in submitting a paper. Collaborative works are welcome. We also kindly ask academics to forward this call for papers to their undergraduate students. This blog first boarded the social-networking train by joining Twitter, in June of 2009. Back then Leon Panetta was in the hot seat at the CIA, US troops (of the non-mercenary kind) were still in Iraq, Osama bin Laden was living the high life in exotic Abbottabad, and South Korean intelligence were trying to kill the North’s “dear leader”, Kim Jong-Il. We’ve since managed to post over 1,200 Tweets, and have attracted a microblogging community numbering a moderately respectable 600 members. If you haven’t signed up, you can do so, here. Today we’d also like to invite you to join our newest adventure in the land of social networking, by signing onto Facebook and becoming a member of our new breathtaking, awe-inspiring page, which is located here. Our grand plan is to use the new page as a way to interact with our readers on a more frequent basis, and to invite further feedback and discussion on issues of concern to intelNews readers. Check us out, and let us know of your thoughts. We also have a hip new channel on YouTube, where we post audiovisual content relating to our work, including our research and periodic media appearances. You can find the YouTube channel here. In case you didn’t know, you can also share or bookmark articles that appear on intelNews, you can subscribe to read intelNews in one of the popular readers out there, you can get intelNews articles on your email, and you can even place our headlines on your website or blog. So there. I think we’ve covered everything. Or, have we? If you have any suggestions or advice for our growing social-networking empire, get in touch.